This is one of those ‘pet peeve’ type articles, but really it bears addressing, since there is a technical difference between these various types of bedding. And being a grammar aficionado and semantics perfectionist, as best as I try (and of course fail, from time to time), I insist on ensuring when the inappropriate word is chosen, that it is corrected and the proper word found and put in it’s place. It’s actually quite simple, but incredibly often (for some reason, ignorance, perhaps?) that these terms get mixed up. 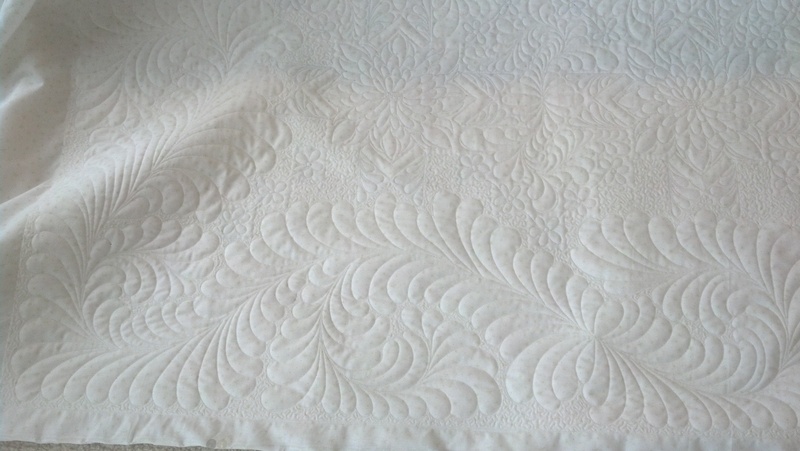 Before I began quilting I thought anything with three layers was a quilt. Not true. 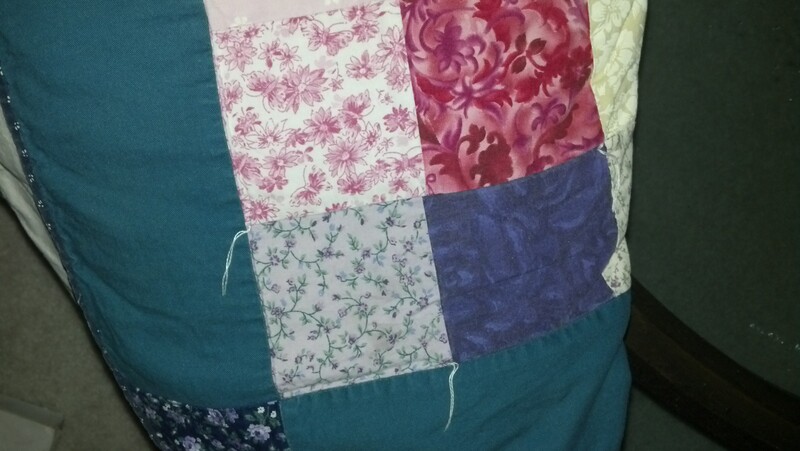 QUILT: 3 layers, to include a back, a top, AND a center of batting (in poorer times they even used old blankets or old quilts as the batting as not to waste a thing) that HAVE BEEN STITCHED TOGETHER at relatively close intervals. TIED COMFORT: 3 layers, same as above, but TIED together at intervals, rather than quilted. In the case above, the strings are thin and long, and you can see them hang off the top of the quilt. Some comforts have short strings frayed (yarn), some tied to have the strings show on the back. COMFORTER: 2 layers of material with feathers in between. Can be quilted or tied. 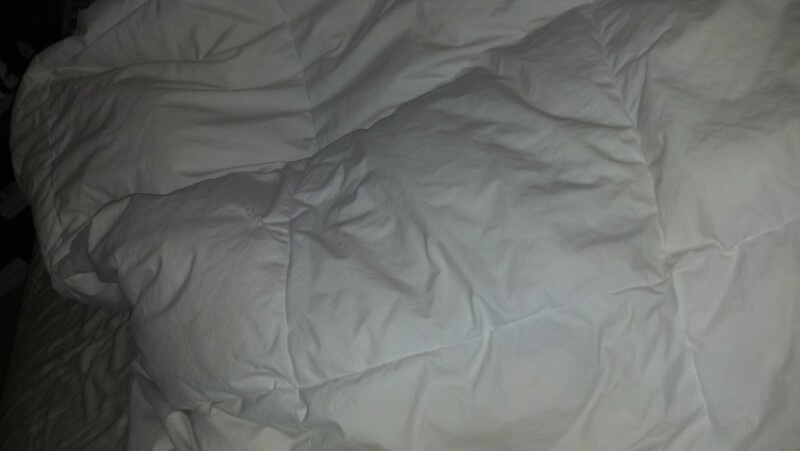 DUVET: the fabric that slips OVER a comforter, basically a comforter cover, single layer. SUMMER SPREAD: a top and a bottom, with no center, quilted or tied. 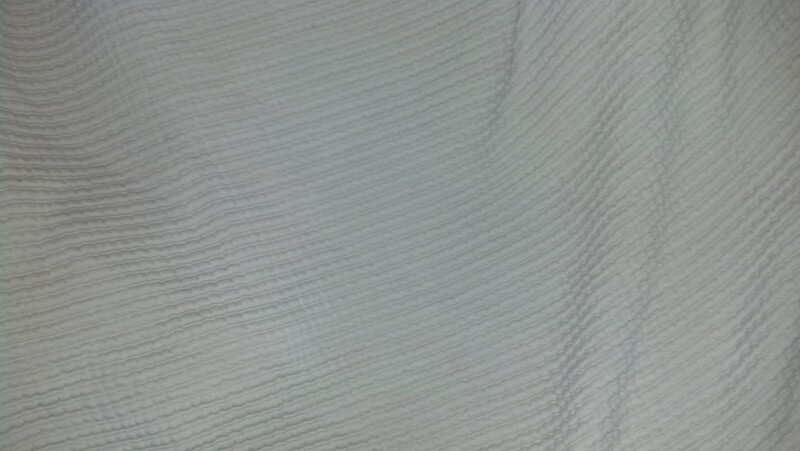 BLANKET: ONE SINGLE layer of fabric (usually thicker), usually with a finished edge. I’ve fielded numerous requests for many of the above items on numerous occasions in the past 4 years, and many times the requestor really wants something other than what they are asking for. This incredibly simple guide is a helpful tool to insure you are asking for what you actually want. Because I would hate for someone to ask for a blanket, wanting a quilt, and actually end up getting a summer spread.